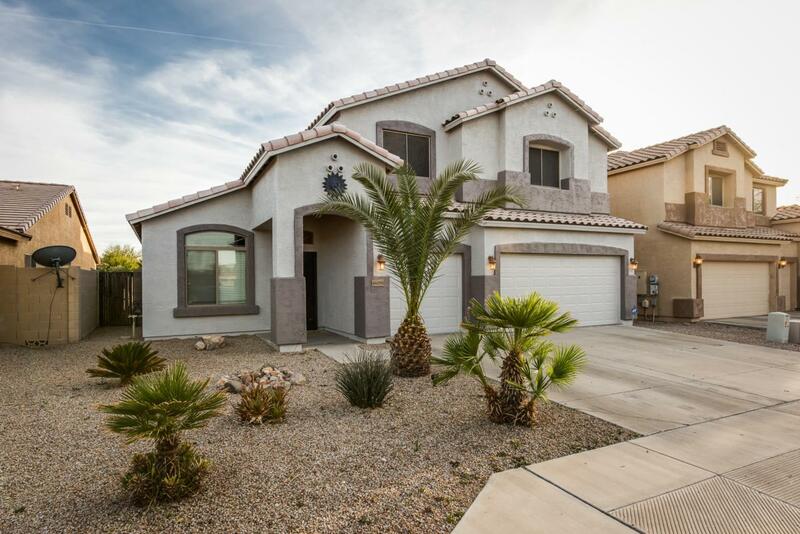 Impressive curb appeal with mature desert landscaping and two master suites to accommodate every household! The bright eat-in kitchen has upgraded cabinets, a large pantry, gas stove, and island overlooking the family room, perfect for keeping large gatherings connected. 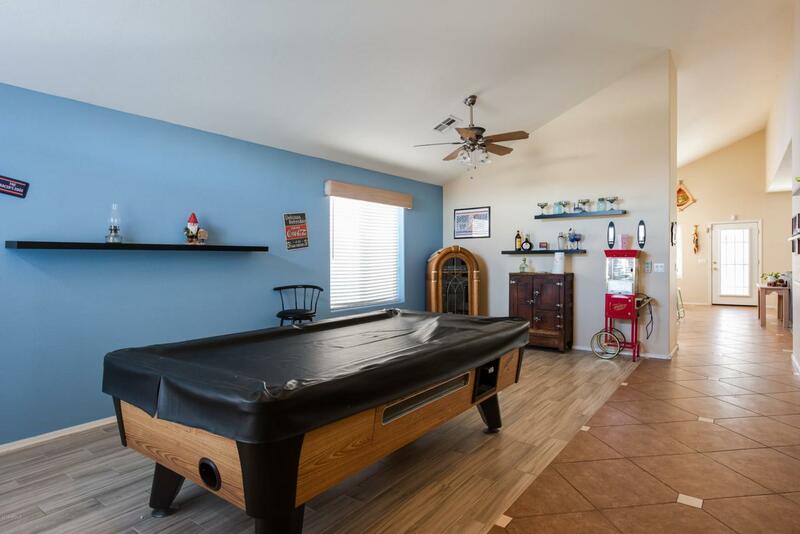 Enjoy hours of fun in the resort-like backyard with extended covered patio, sparkling pool with large sun deck, and safety fence. A fenced dog run with artificial grass provides furry friends with a separate space to play. 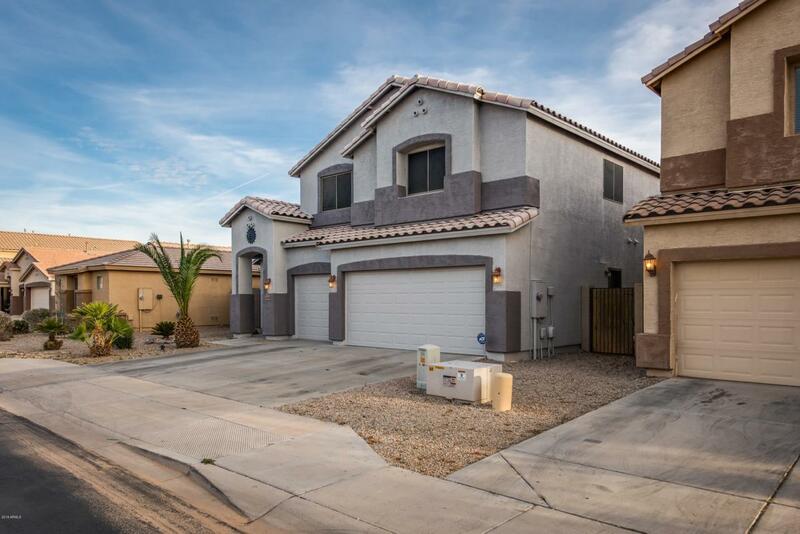 The first floor master boasts access to the patio and pool, a full bathroom and huge closet. Upstairs is another large master suite with full bath, 3 more bedrooms, a second family room, and third full bathroom. 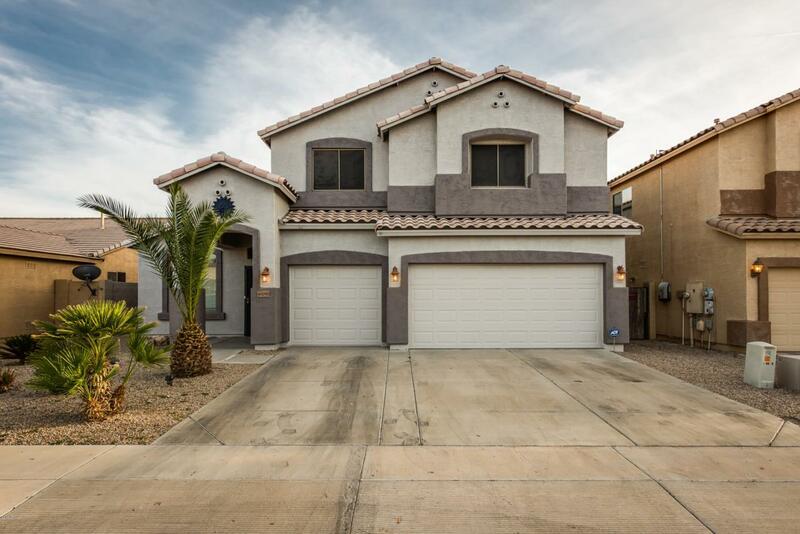 Soaring ceilings and neutral colors accommodate your unique style schedule a showing today!